AVOID COMMON MISTAKES MADE BY FALSE CLAIMS ACT WHISTLEBLOWER DEFENDANTS. GET A MORE FAVORABLE OUTCOME. GET HIGH-LEVEL FALSE CLAIMS ACT CRIMINAL DEFENSE FROM FORMER FEDERAL PROSECUTORS AND GOVERNMENT CONTRACT LAWYERS. QUI TAM WHISTLEBLOWER DEFENSE LAWYERS OFFERING NATIONWIDE HELP – FREE INITIAL CONSULTATION – CALL 1-866-601-5518. You have worked hard and developed your reputation and business only to one day be visited by federal investigators. You and your company are now at the whim of Department of Justice prosecutors either in an IG investigation or defending against an alleged violation of the whistle provision of the False Claims Act federal statutes. Immediately getting the proper legal defense is essential. When employees blow the whistle that initiates a claim or some other government enforcement action that triggers a case for violation of the False Claims Act criminal statutes most potential defendants wait until charges are brought or an indictment occurs. This is simply too late. At Watson & Associates, LLC, we provide False Claims Act lawyers that also understand the federal criminal process. Most companies or individuals accused of fraud against the Government simply hire a traditional criminal defense attorney to represent them in government procurement cases. Oftentimes, the attorney has no experience with the federal procurement laws, SBA small business programs, or Federal Acquisition Regulations that the prosecution is building its case on. As a result, any meaningful defense to your criminal allegations is significantly reduced. Whether the penalties for False Claims Act violations are based on fraudulent invoices, violations of the limitations on subcontracting rules (pass-through contracts) or False Claims Act healthcare fraud, our criminal law firm can help. For high-risk cases, having a team of former federal prosecutors that know the criminal process and the substantive areas of contracting or healthcare laws can put you in a substantially better position to fight back. What is the Federal False Claims Act Criminal Statute and Its Penalties? The Federal False Claims Act (FCA), 31 USC 3729 – 3733 was put in place by Congress because of concerns that government contractors and suppliers of goods and services were defrauding the government. The False Claims Act states that: any person who knowingly submitted false claims to the government was liable for double the government’s damages plus a penalty of $2,000 for each false claim. Penalties and changes have occurred several times. When you retain legal counsel, you want to be sure to get the latest penalty amounts. The government can assess civil monetary penalties on per claim basis. Specifically, the federal prosecutor can go after the maximum amount per penalty. In the case of federal government contractors, for example, each civil penalty for a false invoice can by itself carry the maximum penalty. The minimum penalty per false claim is $10,957, and the current maximum penalty per claim is $21,916.
. The very people, that you trust may be informants for the government. 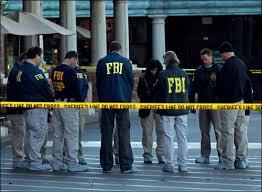 Dealing with federal investigators under the minds that nothing wrong had been done. Although the allegations of violation of the False Claims Act criminal laws may not be true and you may be very well innocent, federal investigators work for the federal prosecutor. Their job is to build a case against you. Holding back critical information from their defense lawyer. This can hurt your case, when you hire a defense lawyer experienced in False Claims Act cases, you should put every fact up front. Do not guess on what you think may be important. Every fact can be very important. Some of our practitioners have over 30 years in criminal practice. In top cases, we also work with outside former federal prosecutors on our defense team. This gives your case a winning edge. Watson & Associates, LLC Federal Criminal False Claims Act defense attorneys aggressively defend government contractors and individuals nationwide and overseas facing criminal and Qui Tam defense actions for government fraud. Position your company to develop a solid case or negotiate a more favorable outcome up front for False Claims Act Whistleblower lawsuits. Get help from federal Qui Tam Whistleblower defense attorneys that understand both federal government contract law and criminal defense. Get aggressive legal defense from former prosecutors and government contracting attorneys. The federal agencies are working 24/7 against you. Start right away to protect your legal rights against any penalty for violating the Federal False Claims Act. Speak with a federal criminal defense lawyer and Federal False Claims Act Whistleblower defense lawyers, call us toll-free at 1-866-601-5518. Federal False Claims Act penalties can also include criminal and civil fines for each false statement made to a government agency and US attorney. While you are busy protecting your legal rights in a Qui Tam action, you must avoid the provisions for False Claims Act treble damages. Cities in which our False Claims Act Lawyers and Qui Tam Whistleblower defense attorney assist federal government contractors, a private citizen accused of fraud against the Government include Anchorage, AK; Atlanta, GA; Austin, TX; Chicago, IL; Colorado Springs, CO; Dallas, TX; Denver, Colorado; Indianapolis, IN; Las Vegas, NV; Los Angeles, CA; Miami, FL; Philadelphia, PA; San Antonio, TX; San Diego, CA; San Francisco, CA; San Jose, CA; Santa Clara, CA; and Tampa, FL. Contractor Defense to Government Procurement Fraud Under The FCA. Are you a target in a Qui Tam lawsuit for a penalty for violating the Federal False Claims Act? The government may be wiretapping your phones as you read this. Act now and call us today. To learn more about Watson & Associates, LLC False Claims Act Whistleblower defense lawyers and how we help protect your rights or to set up an appointment to discuss the details of your case, call the defense attorneys our law office today at 1-866-601-5518.